Note: We posted this find back in 2008. But, since then, we've found a better audio version of the text. Please find it here. This is a book that needs no introduction, but we will give it a short one anyway. 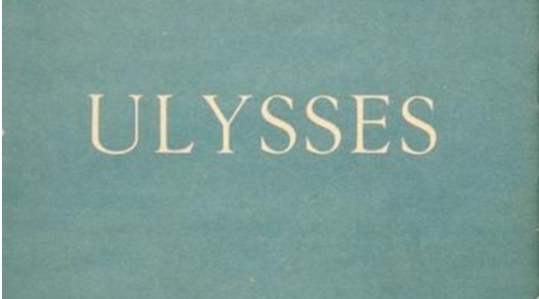 Published in serial format between 1918 and 1920, James Joyce’s Ulysses was initially reviled by many and banned in the US and UK until the 1930s. Today, it’s widely considered a classic in modernist literature, and The Modern Library went so far as to call it the most important English-language novel published during the 20th century. Although chronicling one ordinary day in the life of Leopold Bloom in 1904 Dublin, Ulysses is no small work. It sprawls over 750 pages, using over 250,000 words, and takes over 32 hours to read aloud. Or, at least that’s how long it took the folks over at Librivox. In the Bloomsday tradition, a cast of readers participated in the project, offering creative readings with “pub-like background noise.” The audio files can be downloaded as many individual mp3 files here, or as one big zip file here. You can also stream an excellent alternative version at Archive.org. This is not the only Joycean audio that you can download for free. Also at Librivox, you can find several key stories from Dubliners — including, The Sisters (mp3), Araby (mp3), Eveline (mp3), and The Dead (mp3 in zip file). For more free classics on audio, see our collection of Free Audio Books. Just wanted to let you know that the entire audiobook (read with an Irish accent) is also freely available at my podomatic site – http://joycecast.podomatic.com. Impossible to listen to the libravox audiobook. Must be the most horrific audiobook I’ve ever heard. I have to agree with ‘sorryaboutthatsays’ that the Librivox recording is awful and should be removed. Whilst I applaud the initiative the readers have no underrstanding of Joyce’s language and barely take this seriously. Try the free download at http://www.archive.org/details/Ulysses-Audiobook which is excellent.